Pricing options can vary greatly depending upon requirements and event types. We are more than happy to discuss and build a quote specifically to your requirements or event structure. 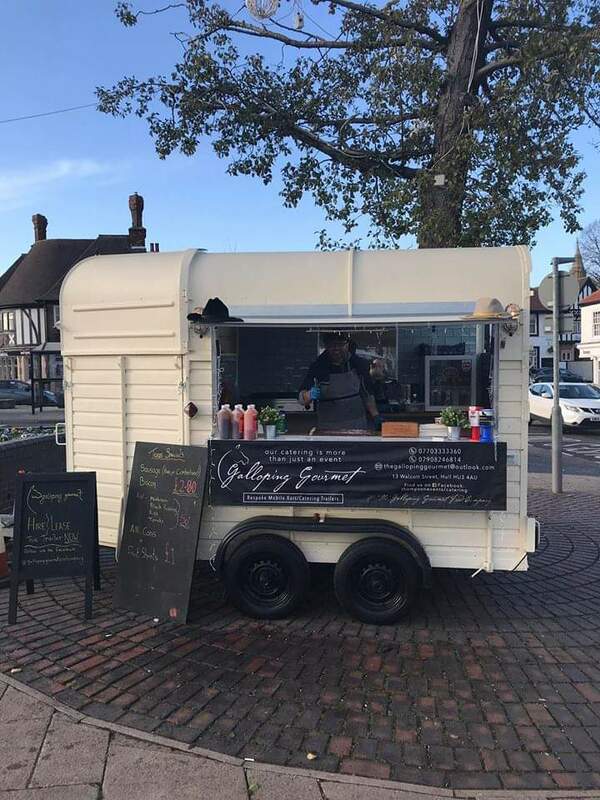 Catering and Bar services delivered from beautifully restored and converted horse box trailers. At Galloping Gourmet we bring the event catering to you, tailored to your exact requirements. Our trailers are not only stunning to look at, but are designed in such a way as to be adaptable for any catering requirement. You may require a champagne breakfast to start your event with hot food to follow later which is easily accommodated. Our menu is completely bespoke to your requirement. We can tailor the bar function to your requirements, setting drink specific limits and an overall cost ceiling. We don't bake cakes ourselves but have relationships with a number of vendors who do provide wedding cakes. If required we can factor in special requirements. Any cuisine is possible from the trailers. If you have the ideas we have the skills to bring them to fruition. Absolutely! The menu will be the customers requirement. Yes, we will cook on site. We bring the catering to the customers own venue. Bespoke mobile Catering or Bar services served from beautifully restored and converted horse box trailers. Wedding Catering. Parties. Fairs. Corporate Events. Festivals. Markets. Catering horse box trailer leasing. 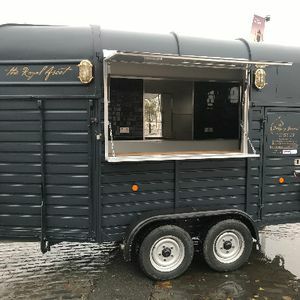 Catering horse box trailer hire.